I'm trying to install networker client on RHEL 5.6 version (virtual Machine). 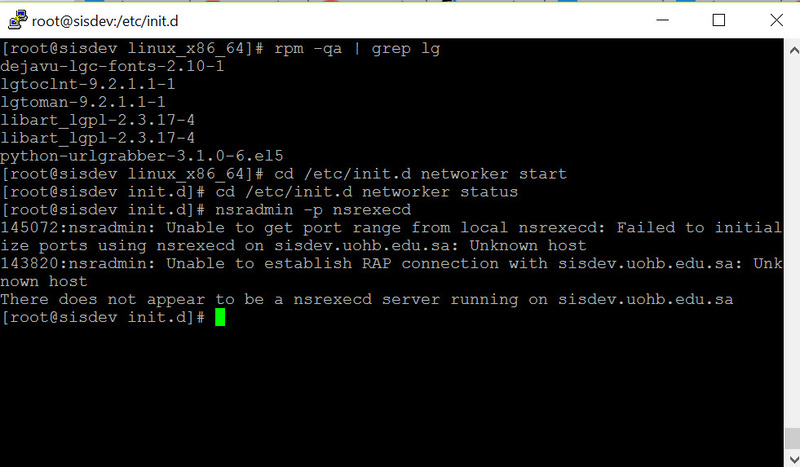 I cannot see nsrexecd services running. Have you made the host file entry on the client? did you really expect your commands to work? Shouldn't they be executed step by step or used without the leading 'cd' command? Missed localhost entry in host file on client. Made localhost entry and started networker services. now it is working. I added cd by mistake.